It’s all well and good, you say, to declare that e-book authors need editors and cover designers and whatnot. But where are these persons of skill and virtue? Good question, I reply to my imagined interrogators, where are they indeed? So I asked some fabulous and talented people I know for some clues. Alex Adsett of Alex Adsett Publishing Services says “The absolute best place to start for all this information is the Australian Writers’ Marketplace. It’s a book and an online database, and invaluable if you’re looking for an editor.” Alex herself provides publishing advice, including contract and rights advice, to all writers. 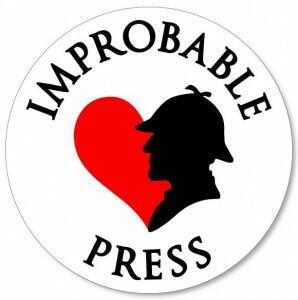 Clandestine Books, headed by crime writer Lindy Cameron, provides editorial and PR services, including manuscript assessment, too. Individuals offer editing services as well. Gillian Pollack (author of Life Through Cellophane) is a teacher-editor based in Canberra. Her approach is to work with writers to increase their editing skills. “Editing is part of the writer’s longer journey when they work with me.” You can find her contact details at http://www.gillianpolack.com. Laura Goodin, who Gillian also recommended, has specialised in business and academic writing and may be a good choice if you’re writing a non-fiction book. Another of Gillian’s recommendations is Elizabeth Fitzgerald. Elizabeth’s website, Earl Grey Editing, will be active in a week or so. In the meantime, you can email her on elizabethafitzgerald@gmail.com for information and her rates. The divine Davina MacLeod is the freelancer who copyedited The Opposite of Life. She charges by the double-spaced 12-point page and can be contacted on davinamacleod@gmail.com for a quote. Davina also does illustration and can be hired for cover designs. Twelfth Planet Press publisher, Alisa Krasnostein, says “I hear Sarah Endacott is one of the best editors there are.” Endacott also provides manuscript assessment. The previously-mentioned Gillian Pollack recommends Andrew McKiernan of Kephra Design, who designs for Aurealis and designed the cover of Life through Cellophane. Gillian also spoke highly of illustrator Kathleen Jennings in Brisbane. For printing your book, Paul Collins, writer and publisher at Ford Street Publishing, says “One of the cheapest printers I’ve come across is a print broker called Alfred Hornung of Tingleman Pty Ltd.” Paul also recommended Ekonvurs for the conversion of print to e-books. So if you want to get a new cover and do a final polish on the out-of-print book you want to e-publish, or if you’re thinking about self-publishing an original manuscript, visit the websites or get in touch with these persons of skill (and, one assumes, virtue) for some quotes. Work out a budget to make sure your e-book is whipped into the best possible shape, with all of its apostrophes and commas in the right place. Banish those typos and continuity errors to the nether reaches of hell with some expert help and make your book the best it can be. Previous PostReview: The Girl Who Was Was On Fire edited by Leah WilsonNext PostAuthors suing libraries. Part One—Just who is being tacky?